Today I am pleased to welcome Ingrid King, author of the newly released Purrs of Wisdom: Conscious Living, Feline Style, as well as Buckley's Story and the website The Conscious Cat, back to Psychotic State Book Reviews. 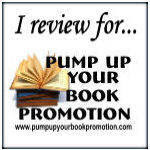 Hi Ingrid, welcome back to Psychotic State Book Reviews! 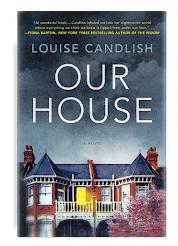 Thank you for taking the time to chat with me and my readers. We are happy that you and Allegra and Ruby weathered Hurricane Sandy and can be here! Thanks for having me, Lori. 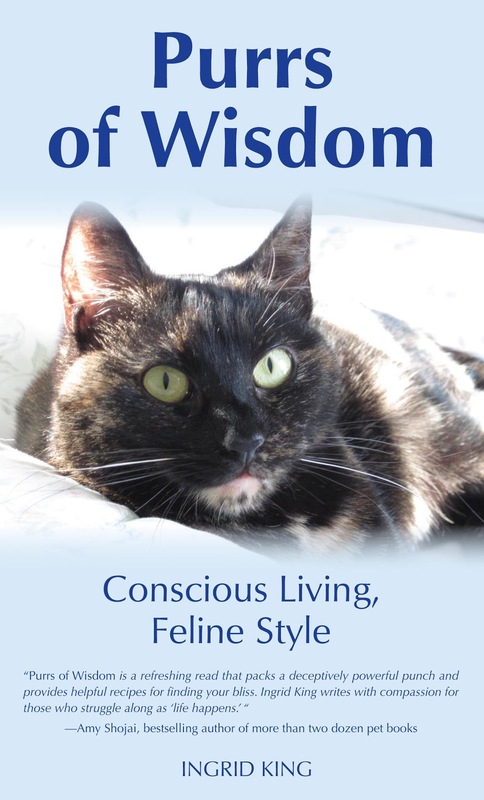 You have just released Purrs of Wisdom: Conscious Living, Feline Style (and graced with a gorgeous cover girl!). What can you tell us about it? Purrs of Wisdom is collection of essays features lessons in conscious living, inspired by the cats who have shared my life. From help with every day challenges to inspiration on living a joyful life, this compilation provides encouragement, guidance, and enlightenment, feline style. Ruby says thank you for the compliment. She’s quite pleased to be on the book’s cover. I made sure that Allegra got to make an appearance on the back of the book, so she wouldn’t feel left out. What inspired you to write Purrs of Wisdom? I’ve always believed that animals come into our lives to teach us, and I’ve been fortunate that I’ve had some of these feline master teachers in my life for the past almost three decades. I started sharing some of these lessons on The Conscious Cat in my Conscious Cat Sunday column. 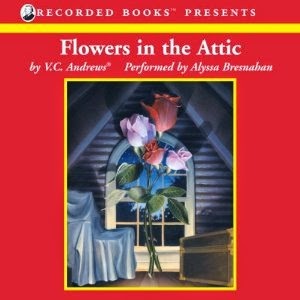 They became so popular that I decided to use them as the basis for a book. What was your favorite part of writing Purrs of Wisdom? The lessons I learned along the way. Frequently, my Conscious Cat Sunday columns were the result of me struggling with a certain topic during the week. What I love about these essays is that not only do they help my readers, the process of writing the column often helped me sort things out! I came to writing the “long way.” I started my professional life by translating manuals for a computer manufacturer. Then I wrote and translated ad copy for a magazine about diesel and gas turbines (can you stand the excitement?) After that, I worked as a travel agent for a while. Eventually, I ended up at a financial services corporation, beginning as a receptionist and working my way up into middle management. After fifteen years in corporate America, I had enough, and started to pursue discovering my true passion. For the next twelve years, I worked in various facets of the veterinary profession. I loved it. I did everything from cleaning cages to answering phones to giving injections and placing catheters. Eventually, I managed a veterinary hospital for eight years. My passion for educating pet owners and my love for animals led me to realize my dream of serving pets in a more hands on and individual capacity. I started my own business, Healing Hands, which provides Reiki treatments for pets and people. As part of marketing Healing Hands, I began to write and publish an online newsletter titled News for You and Your Pet, and I discovered how much I really love writing. And then Buckley came into my life. She only spent three short years with me, but she changed my life in ways I never could have imagined. 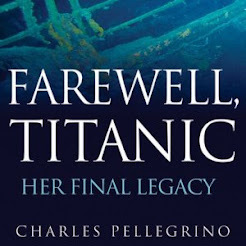 When she passed away in November of 2008, I decided that her story needed to be told. 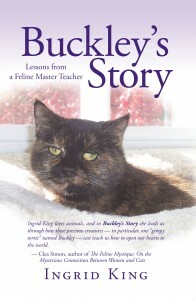 I published Buckley’s Story: Lessons from a Feline Master Teacher in September of 2009. While I was still writing Buckley’s Story, I also started The Conscious Cat. 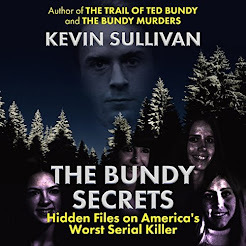 Since the book’s publication, I’ve been writing professionally. My articles have been published in Cat Fancy, Urban Animal, Animal Wellness Magazine, and various online publications. You have been the pet parent to Amber, Buckley, Allegra and Ruby. What is the most important thing you believe you have learned from them? I think the most important thing I learned from all my cats is to live in the moment. Ingrid, you are the publisher and founder of The Conscious Cat, a website of information and advice for cats and their people. What led you to create it? I was looking for a way to share well researched information about cat health and nutrition with a wider audience than just my newsletter subscribers. Your girls also participate in The Conscious Cat. Can you tell us what their roles are? 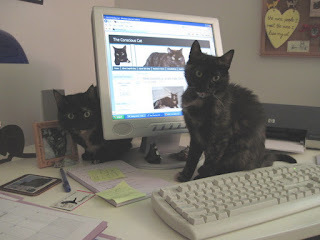 In addition to writing their own columns, Allegra’s World and Ruby’s Reflections, they are my editors, office assistants, product testers and stress relievers. Has writing for The Conscious Cat changed the way you see cats and relate to them or did the way you see and relate to cats lead you to The Conscious Cat? What an interesting question! I didn’t think it was possible, but I think writing for The Conscious Cat has made me love cats even more. It’s a wonderful to be responsible for having started this amazing community of tens of thousands of cat lover who share my love of and fascination with these wonderful creatures. 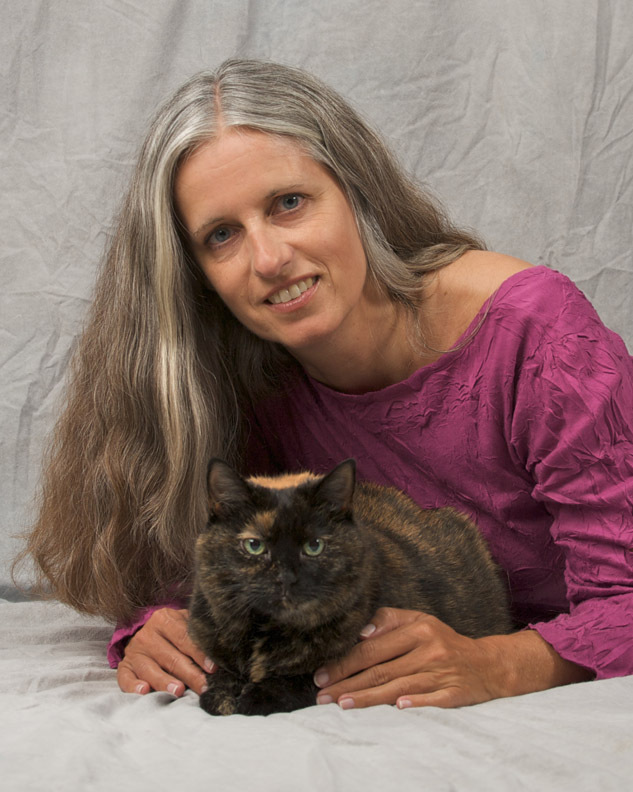 You offer consultations for felines and their people and Reiki. Can you explain what Reiki is? Is it just as helpful for dogs as for cats? Reiki is an energy healing method that originated in Japan. The word Reiki (pronounced "ray-key") is a Japanese composite word usually translated as "universal life energy". It is based on the idea that all living beings have life energy flowing through them. When life energy is high, humans and animals are healthy and balanced, more relaxed and less likely to get sick. When it is low, they'll often be more easily affected by stress and less resistant to illness. Reiki is equally as effective for dogs as for cats, and humans, too! Animals are naturally receptive to the Reiki energy and tend to gravitate towards it readily. Some pets may initially prefer to experience the energy from a slight distance, rather than having the practitioner's hands directly on them. Now for some rapid-fire questions! The book currently on your nightstand is . . . The Dalai Lama’s Cat by David Michie. If you could time travel to one place it would be . . . I actually really like the time I live in – I don’t think I’d want to time travel! Can you share with us what’s next for you, Allegra and Ruby? I’m working on my next book, Amber’s Legacy: My Life with the Original Conscious Cat. It’s both prequel and sequel to Buckley’s Story. 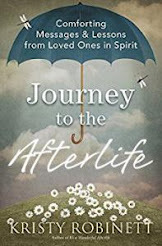 I had been thinking about writing Amber’s story for quite some time, but her sudden death in 2010 hit me hard, and I needed to get some emotional distance before I could even start writing her story. Allegra and Ruby plan to continue their columns on The Conscious Cat, as well as their editorial duties. They also have their paws full with keeping me in line. 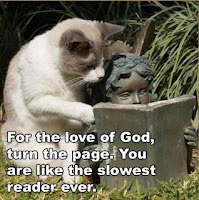 What do you think is the single best piece of advice to be found in Purrs of Wisdom? What advice would Allegra and Ruby share with cat owners? Make your human think that they’re in charge. Never let them know that you have them wrapped around your little paws. Finally, what one word do you think best describes Purrs of Wisdom? 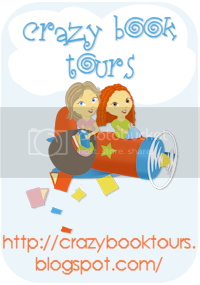 Thank you, Ingrid, Allegra and Ruby, for taking the time to sit down with Psychotic State Book Reviews. Best of luck to you with the inspirational and informative Purrs of Wisdom! 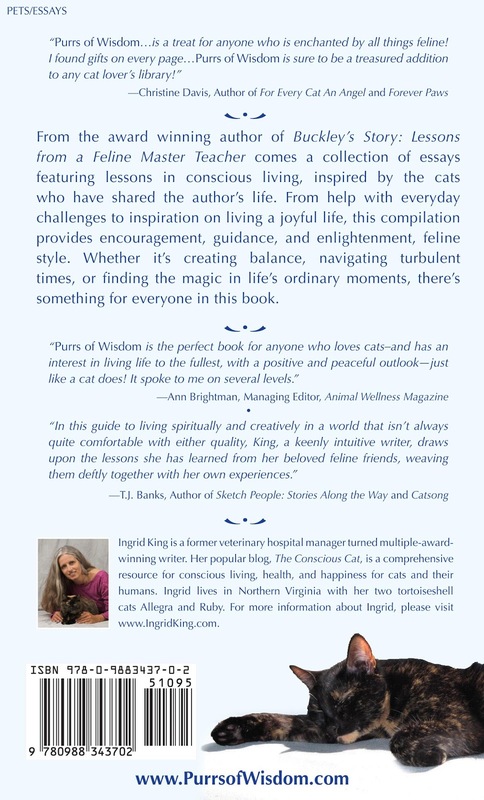 For more information on author Ingrid King, please visit The Conscious Cat. 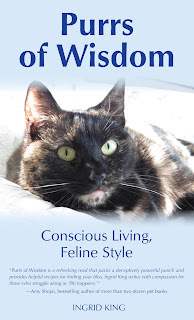 To read my review of Purrs of Wisdom: Conscious Living, Feline Style, please click here. To read my review of Buckley's Story, please click here. Coming soon: A giveaway of Purrs of Wisdom! I definitely recommend it. I found it very therapeutic - - whether you are a dog person or a cat person. And yes, Ruby and Allegra are gorgeous girls!